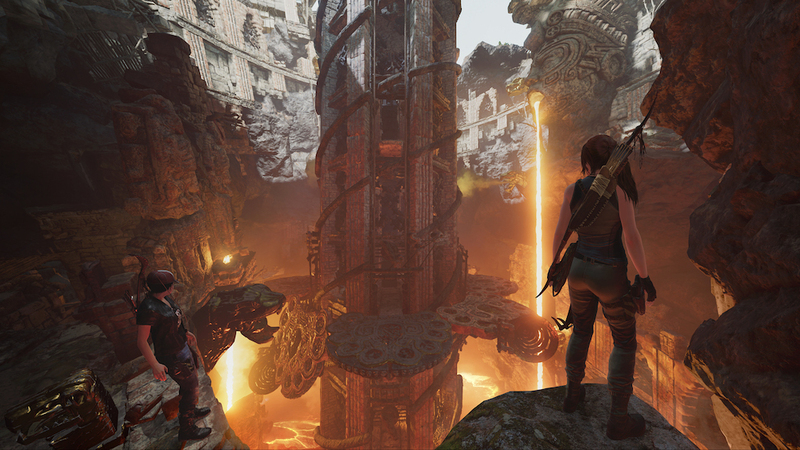 This week, Square Enix released the first of their DLC for Shadow of the Tomb Raider entitled The Forge. It came with 2 components: story-based in-game mission and tomb along with a challenge tomb accessible from the menu. The challenge tomb is playable as Score Attack, Time Attack, and Exploration mode and can be played solo or co-op. This DLC pack is not particularly long. Not that every expansion pack must be The Witcher 3’s Blood and Wine, but it would have been nice for the story-based section to not be a fetch quest into a crypt and a tomb. It also didn’t help that the story and voice work felt stiff and somewhat lifeless. I was intrigued when I found out the story revolved around Abby, but in playing, it did not appear to have a lot of gravitas to it. That said, I really enjoyed the newly added tomb – Forge of Destiny. I will admit that I only scored about half as much as a bronze medal in my first try, but that is the beauty of this challenge tomb. It is begging you to play it again and again. There are really two parts to the tomb, the entrance and the tower. The entrance involves traversal and familiarizing yourself with the pulley mechanisms. The tower involves timing and puzzle-solving. Even during my score attack trial, I was recognizing places I could shave off a second here and a half-second there in order to make a good next run. Overall, Shadow of the Tomb Raider The Forge is a little on the disappointing side from a story perspective, but it makes up for it by adding an excellent challenge tomb. If you are into playing the challenge tombs over and over again to perfect your runs and get the highest scores then this is an excellent piece of DLC for you.